58 new cases of Ebola were reported in the Democratic Republic of Congo in the past week, making it the highest amount in a week for 2019. The outbreak has killed at least 629 people, according to the World Health Organization.It is the worst Ebola outbreak in the Congo and the second-worst in the world. The U.N health agency's director-general had predicted the outbreak would be contained within six months. The World Health Organization said in an update on Thursday that the recent spike in cases was due to "increased security challenges." 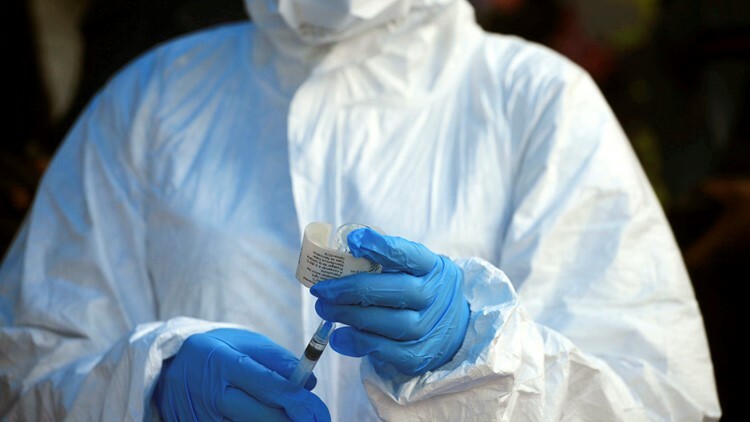 Earlier this month, WHO director-general Tedros Adhanom Ghebreyesus declared the outbreak was "contracting" and praised the efforts to avert a larger crisis. 58 new cases of Ebola were reported in the past week, making it the highest number in a week for 2019. Riebl thinks that the true figure could be higher, as some cases are going unreported. "These numbers show that despite the hard work being done, this outbreak is far from over," Riebl said. "Insecurity and violence has led to the IRC and other agencies being forced to frequently suspend programs, which time and again we have seen lead to a spike in cases." “We are already almost seven months into this outbreak and at this stage we should be seeing the case rate declining, not on the rise," said Riebl. "With an optimistic outlook this outbreak is predicted to last another six months -- but realistically we could be looking towards another year of fighting this disease."